Louie Zamperini was born on January 26, 1917, in Olean, New York, and grew up in Torrance, California. Zamperini was a competitive runner in the 1930's, earning an athletic scholarship to the University of Southern California, and running in the 1936 Summer Olympics in Berlin, Germany. He enlisted in the Aviation Cadet Program of the U.S. Army Air Corps on March 18, 1941, but soon left the service. He again enlisted, this time in the regular Army, on September 29, 1941, but was put back into the Aviation Cadet Program in December to become a Bombardier. 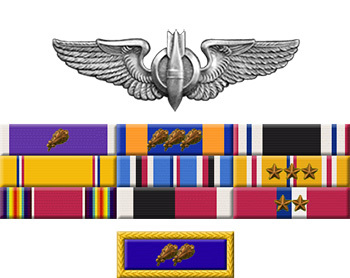 Zamperini was commissioned a 2LT and awarded his Bombardier Wings in August 1942. After training as a B-24 Liberator bombardier, he flew combat missions with the 42nd Bomb Squadron of the 11th Bomb Group in the Pacific Theater until his aircraft was forced to crash into the Pacific Ocean on May 27, 1943. After 47 days in a life raft, he was captured by the Japanese and became a Prisoner of War. Zamperini was released at the end of the war, but remained in the Pacific until October 1945, when he finally returned to the United States. He received an honorable discharge from the Army Air Forces on August 11, 1946, and later became a motivational speaker. Louis Zamperini married Cynthia Applewhite on May 25, 1946, and they had two children, Cissy and Luke. They were together until her death in 2001. In 2005 he was inducted into the World Sports Humanitarian Hall of Fame for his work with children and youth and counseling war veterans. He wrote the book "Devil at My Heels: A WWII Hero's Epic Saga of Torment, Survival, and Forgiveness" in 1957, with an updated version printed in 2003. 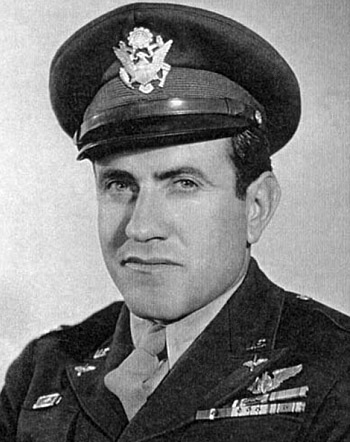 Louie Zamperini died on July 2, 2014.